He is 'upper medium' not yet large, could grow more. His sister has just started laying. Hatched from eggs said to be a few pure-breds and maybe some crosses - but various breeds in the dozen, and not named. 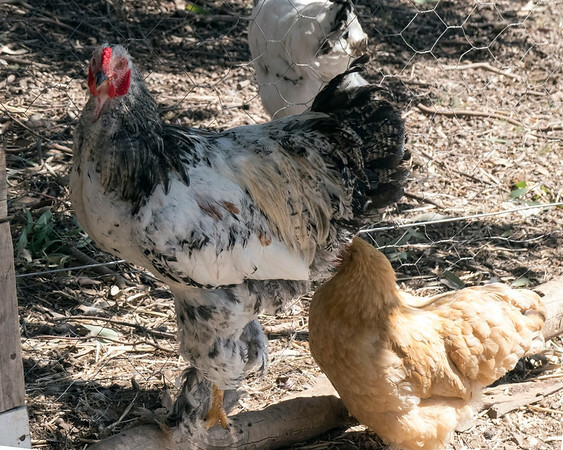 He is well feathered on the legs, and a bit taller than the small white Araucana and the small buff Pekin hens in photos. No tail yet, but starting to grow a good tail I think. He's a light Brahma but very likely another cross of something else in there. 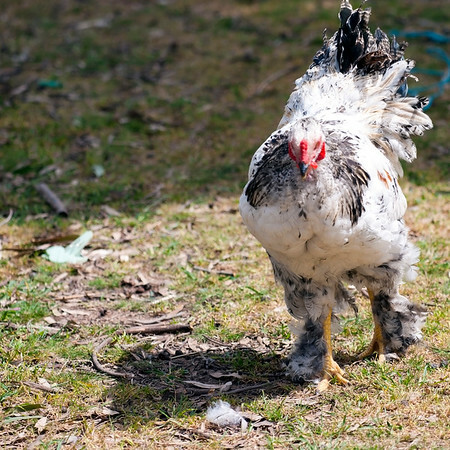 He's classic Brahma type and stance, he has a pea comb, yellow legs, vulture hocks and heavily feathered shanks and toes of his legs and feet. The indications of maybe a cross in his background are the colour in his wings, red feathers, and the barring in tail cover feathers and his neck hackle. Oaklands thanks for that, I had no idea other than there had to be a bit of 'something' there someone would recognise. 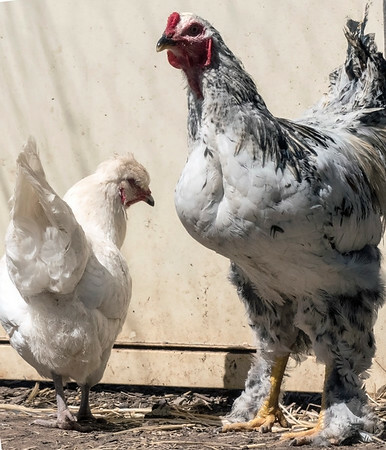 Is it worthwhile I find a Brahma hen or two for him, or is he really only good for pot or pass on to another backyarder who is not fussed on pure breds?